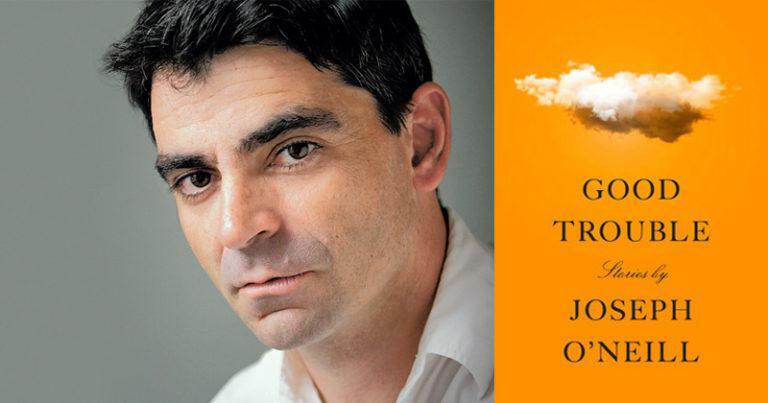 Joseph O’Neill’s latest book, Good Trouble, is available now from Pantheon. Some writers are highly, almost compulsively industrious. They feel uneasy, guilty, even unwell, if they have not have written, even for a day. I’m the opposite. I begin to feel uneasy, guilty, even unwell, after I’ve spent a few minutes writing. So writer’s block, for me, isn’t an aberration—the act of writing is aberrant. And also, in some way, unwholesome. The whole business of introspection and language-management, of so-called insight and storytelling, of finding elevated verbal counterparts for elevated thoughts and ideas, is very often nauseating. So my default setting is not to write, and I don’t feel too bad about it because so many great books have been written that are in dire want of readers, and it would be basically superfluous to generate another mass of text in which some notional human’s experience has been cooked up for the millionth time, however artfully. Or at least that’s how I think when I’m not writing, or writing very little, which is most of the time. Then one morning I feel differently, usually because I’m physically displaced from my usual surroundings and doings, and I have the time and space to wander free from the things that usually dominate my consciousness—family, teaching, catastrophic world affairs, sports. A detail, usually comic in nature, comes to mind, and by a somewhat automatic process finds its way onto a page: suddenly one is sitting down, typing stuff. As you can see, I don’t strongly identify with this person who produces “my” writing. That person is the writer. I would be the block. Which non-literary piece of culture could you not imagine your life without? Can I say sports? I’m basically a sports fan who reads and writes. That’s not so unusual, by the way, in European culture. I’ve played quite a bit of cricket, soccer, rugby, golf, and I automatically follow what’s going in there, with special reference to the fortunes of Ireland, Manchester United, and Padraig Harrington. I’ve never formally received writing advice, at least not about writing fiction. I did get advice about writing poetry. At college—in England—I belonged to a students’ poetry workshop at which, basically, I was strongly advised not to write bad poems. That was useful. But I’ve never taken a creative writing class of any kind, which I suppose is unusual for a writer in this country, not to mention a teacher of creative writing. (I teach, very happily, at Bard College.) The side effect of that is that I’ve never had a creative-writing teacher, or mentor, to counsel me or give me a pep talk. I don’t think that’s done me much harm. You pick up what you need by reading—and reading diversely. That is extremely instructive. All that said, over the years I’ve had lots of excellent feedback and corrections from editors about particular sentences and words, and that’s the kind of stuff that I really retain and value. Perhaps the most consequential advice I’ve ever received was from my UK literary agent, Gill Coleridge. She suggested that I completely re-write the second half of my novel Netherland. I took that advice. I would love to have written U and I by Nicholson Baker. It’s extreme and funny and risky, and it stakes out a unique domain of language and investigation. You can’t ask for much more than that. Invisible Man is a tome that I wish bore my name and not Ralph Ellison’s. Also Flannery O’Connor’s short stories. Let’s call those mine, too. Each and every one of them. But of course the book I most wish I’d written is the one I’m writing now.